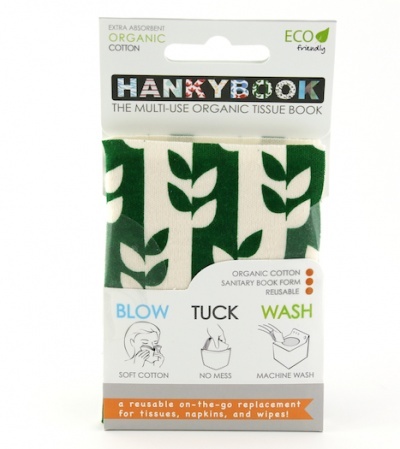 Another product that promotes the joy of reusables for a new generation, The Hanky Book! Made by an Engineering student at the University of California. It's reusable, pocket/purse friendly, prevents rednose and machine washable. The Hanky Book has many uses. 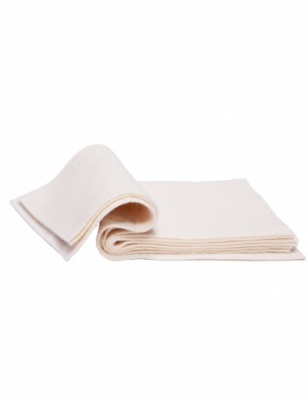 It can replace disposable tissues, napkins, baby wipes and is also great to take backpacking. I absolutely love my hanky book! So much nicer than having a big hanky scrunched up in your pocket. It looks very cute and so easy to use. Multiple uses without having to use the same areas.